I love to drink cocktails. Since last year, I've been studying about cocktails, so I know many kinds of cocktails and can make most kinds of cocktails. Actually, I'm working at a part time job as a bartender. And I'd like to introduce the Brazilian cocktail, "Caipirinha." The Caipirinha is Brazil's national cocktail, made with cachaza (Cachaza is Brazil's most common distilled alcoholic beverage), sugar and lime. Especially, I like drinks using lime very much. Is there anybody here who likes limes? If you like limes, maybe the Caipirinha is a perfect choice for you. Also, it is enjoyed in restaurants, bars, and many households throughout the country. Once almost unknown outside Brazil, the drink has become more popular and more widely available in recent years, in large part due to the rising availability of first-rate brands of cachaza outside of Brazil. 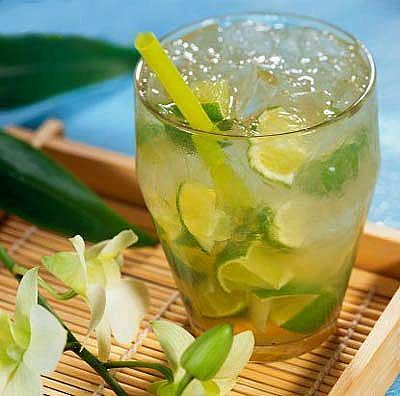 In this summer, if you want to drink a refreshing cocktail, you can try to drink the Caipirinha. It is delicious and potent! How about that?